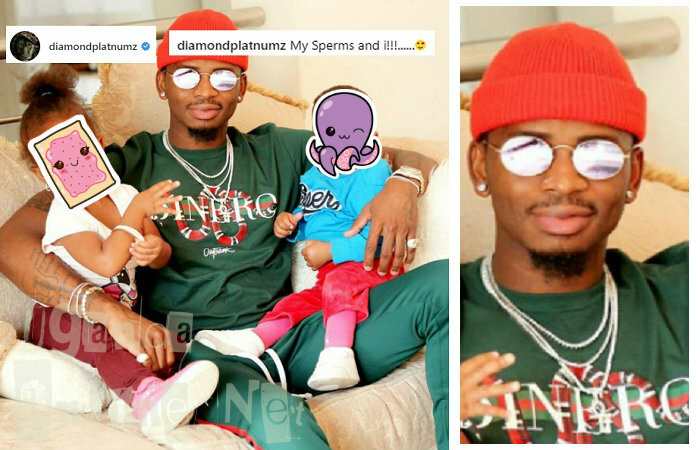 The Hallelujah singer is back in the news and this time, not on Hamisa Mobetto who seems to have gone silent on the child neglect issue considering they were to appear in court yesterday, but Diamond Platnumz referring to his children as sperms. 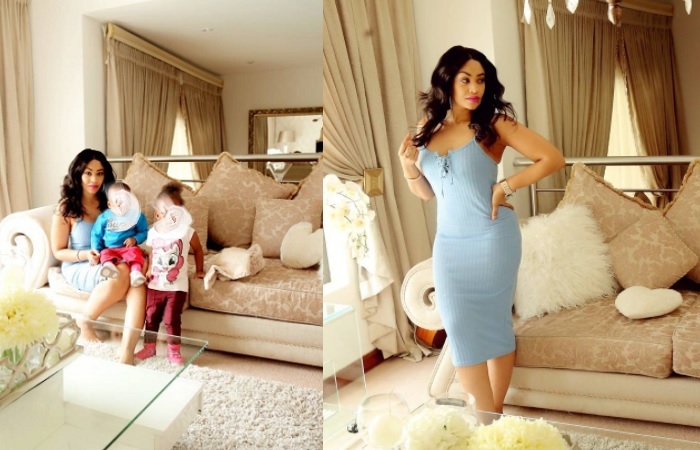 The boy from Tandale as he refers to himself shared a pic of him and his children on Instagram captioned as; "My Sperms and I ..."
And unfortunately for him, he does it innocently. Just recently, while performing in Kampala at the KCCA charity event in Kololo, he said that Ugandans are very fertile that's why he decided to invest his children there, again, very unrelated. He meant to say that the mother of his children was Ugandan, but the way he chose to communicate it was what left a lot to be desired. He is back again referring to his children as; My Sperms. This is in every way offensive and Zari ought to have asked him to pull down the post, but for some reason, it's still up. It's rude for one to refer to their son or daughter as boy or girl respectively and now, referring to them as sperms is worse and in some circles, this would be criminal. "Does this mean you are a sperm donor and not a father?" One commented. "Yes, you want to be funny and entertain your audience, but at least sound educated & aware, as opposed to sounding ignorant, patriarchal, vulgar & incredibly inconsiderate/selfish!" Another added. "When your kids grow up and come across this kinda post they will be highly disgusted. I wish you said ‘my DNA’ ‘my offsprings’ ‘my descendants’ ‘my legacy..."